We Now Offer Airbrush Painting Too! Please Subscribe to, Like and Follow our pages! 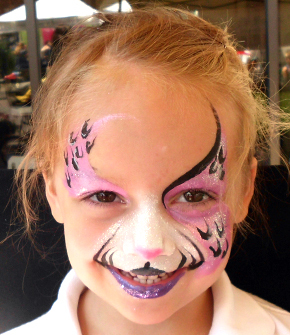 Book early to guarantee one of our artists are available for your event. While we do love last minute parties, our schedule tends to fill up quickly, especially during the next few months. Call today or click on the "Contact" button above to get a price quote! Hi! I'm Curlie. Nice to meet you. 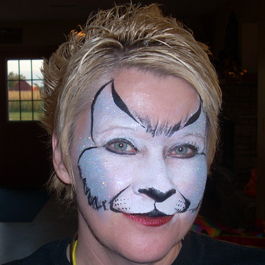 Whether you are interested in Face and Body Painting, Airbrush Painting & Tattoos, Balloon Twisting or Glitter Tattoos, we can customize an event to your exact specifications. Large event or small, we can handle it. With nearly a dozen entertainers in our network we are always able to provide a professional, talented group of artists to make your event one to remember.